It’s been two months since I promised pics and stories from my summer travels and I finally have some for you! Sorry about that! First stop in Australia was Canberra. It was so fun to have Rich (and Leesha – who joined us a few days later) staying in my home, with my parents, sightseeing in my hometown. 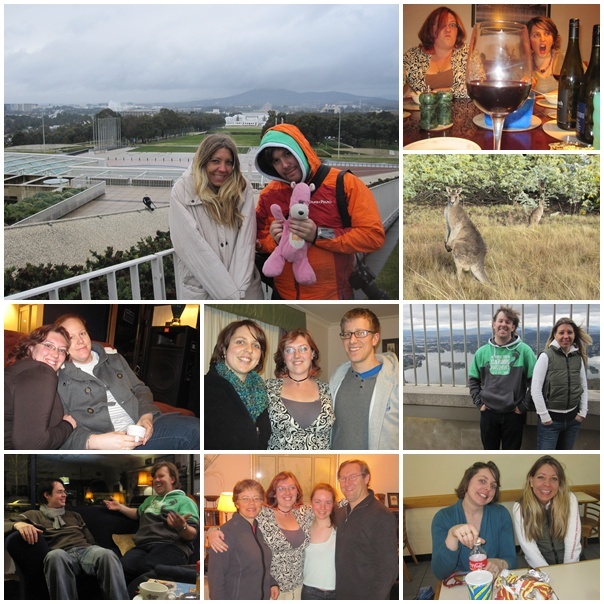 We did some kangaroo spotting on Farrer Ridge, took in some of the sights of Canberra, and had lots of lovely hangout time with Amanda & Andrew (who had known Rich and Leesha in China), Esther, and Eddie & Nicole. We performed at TUC (the church I grew up in) and I sold some CDs. I sold enough over the trip to pay my way around the country and back to China! Rich also performed in a cafe in Lyneham, which was a fun night. I sorted through a lot of the things I’d stored in the basement when I moved to China, pulling out things to be thrown out/given away and a lot to be shipped to China – that’s where my life is now. 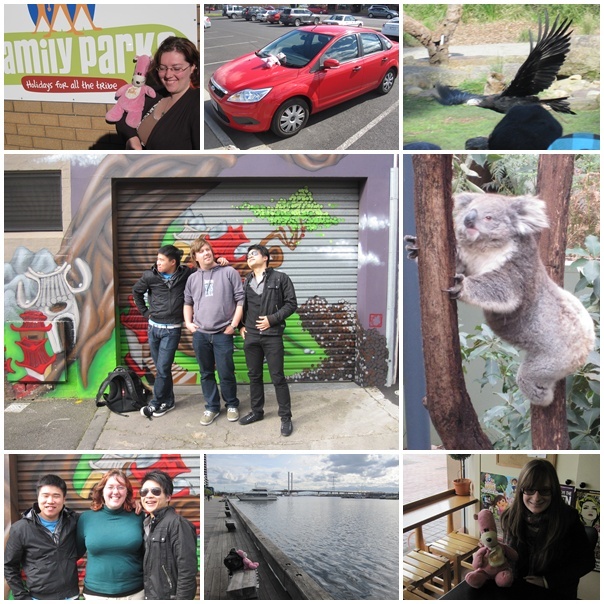 Highlights included Mum’s cooking (as always), a visit to Questacon, tea with Esther, the parents’ wine cellar, dinner with the Naco family, and seeing old friends at TUC (was wonderful to still feel like family after all these years). Rich went to Sydney to sightsee for a few days while I finished up stuff in Canberra. I drove up to stay overnight with family (sooo good! ), then we drove to Wollongong to lead worship in a small church there. It was a lovely morning, we met some wonderful people, and had lunch with a friend (who I’d never met in person before!) who is very interested in China. I then visited with another China-related family who are dear to me on the way to my grandparents’ place in Singleton. I spent a lovely two days with them and my parents before heading back to pick up Rich and go south. 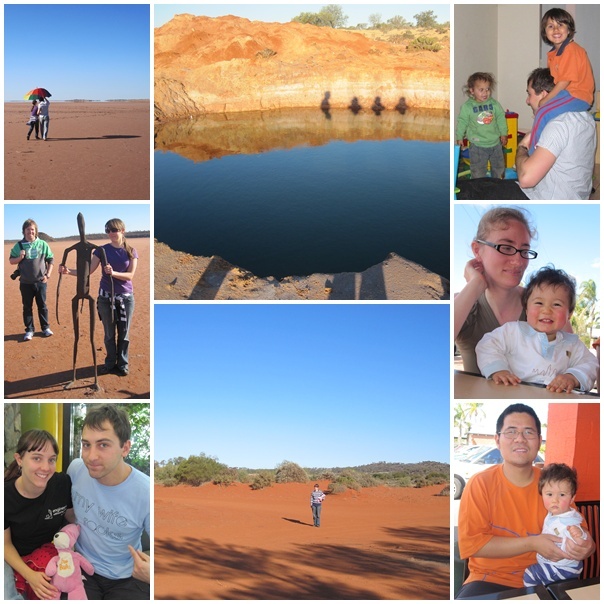 Our next stop was Kalgoorlie, where my sister and brother-in-law live. I’d been once before, to visit my friend Jannah, who still lives there. We went to the superpit, a mining museum, and Lake Ballard – a salt lake with interesting installations sculptures spread across it. We also performed at a local Christian school. There was definitely an IAB feel to the staff and students, and we both thoroughly enjoyed our time with them. I even made a quick visit at lunchtime the next day. By that point I’d been away from China for a month and was definitely missing my youth kids there. The highlight for me was definitely spending time with Natasha and Dante! It was fun to see Jannah again, too, and her two boys (I’d not met her youngest before). I will be staying in Beijing over Christmas. I have been offered a place to housesit, which will be a good chance to make myself take a bit of a holiday. 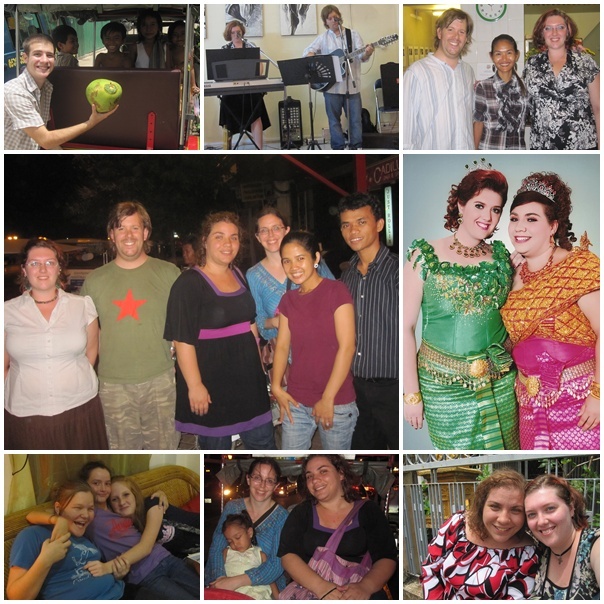 In January I will be going to Cambodia again for two weeks. I’ve been planning to continue going down to help with youth ministry stuff whenever I have the resources (time and money) to do so, and after chatting with two of the pastors on our last trip I felt a strong desire to help out with whatever training and other assistance I could offer. I thought January would be a good time, but couldn’t afford it (not without using the money I set aside for my health insurance). When I realised money was the only thing stopping me, I decided that was stupid. I can’t afford it, but God certainly can. So I made a budget and decided to approach a few people/groups in Beijing to help me cover what couldn’t. My church here (CCC) has given me a grant to help me get there, which is a huge blessing! It covers the whole portion I couldn’t afford. So that’s my travel stories! Congratulations to those who made it this far!